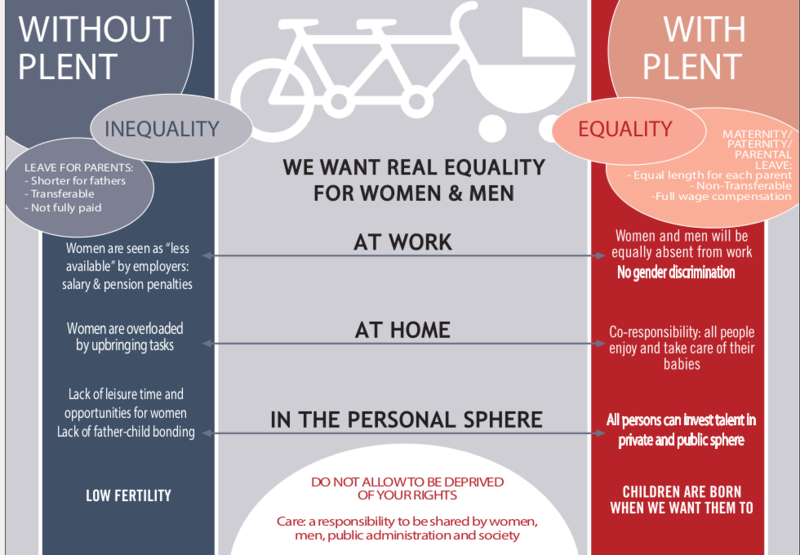 Several members of PLENT have presented a project proposal on Building the case for Parental Leave to be Equal, Non-Transferable and fully-paid (BestPLENT) to the European Commission on February 2013, which should be resolved around June (Call for PROGRESS). The researcher and activist María Pazos, on behalf of the Institute for Fiscal Studies of Spain, leads the consortium, which includes public administration bodies; universities and other research institutions; NGOs; and an international Advisory Committee. A wide range of countries are involved: Iceland, Italy, France, Lithuania, Slovenia, Spain, Sweden, the USA and the United Kingdom. The proposed social experiment aims at testing the implementation of a social policy instrument for men, which is well-accepted for women, simple to implement, cheap and highly effective, as already shown by its partial implementation in several contexts. It is the introduction of equal, fully-paid and non-transferable leave for men and women. This social policy aims to remove barriers to labour market entry and attachment of women, to increase male participation in childcare and thus to support work and family life reconciliation, to improve early childhood well-being, gender equality and to reduce the risk of poverty for families. The experiment will be conducted in one private enterprise, four city councils and one regional governmental body in Spain and France. In addition, the latest reform in Iceland, the gradual introduction of 5 months mother-only and 5 months father-only parental leave, will be studied. 1. To test the “golden rule” – men only take up parental leave if it is an individual, non-transferable and fully paid leave- in France and Spain. 2. To evaluate the potential of equal, well-paid and non-transferable leave to change the time used by mothers and fathers to take care of a small child and to do paid work during the first year after childbirth, so that in dual-earner families time use becomes more symmetric and work and family reconciliation less stressful and more satisfying both for fathers and mothers. 3. To assess the quality of the father’s time spent with the child, the construction of a deeper child-father bonding and the father’s acquisition of care skills and, as a consequence, the provision of quality childcare within the family context.